If you think that men having Pedicures is a new concept, you are wrong. Men have been having foot treatments for hundreds of years. The male pedicure has always been around. Charles Dickens, Abraham Lincoln and Napoleon Bonaparte all called upon footcare in times of need. Aldwyn & Sons now provides the ideal environment for men to enjoy pedicures. So how did it all start? It may be the case that pedicure parlours have not been around forever but humanity has always had an interest in making sure we are pain-free when it comes to walking. The Ancient Egyptians had a keen understanding of the importance of looking after one’s hands and feet in achieving overall well-being. Hippocrates realised the dangers of corns and developed a utensil that could be used to remove the hard skin allowing for relief. The removal of hard skin combined with skin cell re-hydration has changed very little over the centuries. From this perspective, the role of the pedicurist has been in existence for a long time. Celsus, a Roman physician, spoke about the nightmare surrounding corns in his publication De Medicina. In the middle east, foot washing was a common custom extended to house guests. Interestingly, it is said that Christ subverted the common custom when he washed the feet of his disciple, as an act of humility and brotherhood. Medieval ‘healers’ saw the presence of corns as an opportunity to experiment with various solutions. Corns were treated with the most extraordinary ‘potions’ ranging from the ash of a willow bark tree to soaks of the gastric juice of a calf’s stomach. The overwhelming amount of people who developed sores on their feet due to the plague and other circumstances meant that the government declared that anyone could treat superficial sores without any form of medical training. The Quacks act gave licence to sell herbs, roots and almost anything to heal these infections and sores. The word quack came to mean shout. This is because it was commonplace for corn-cutters to work from the streets, shouting their services to the public. Towards the end of the 18th century, in France, footcare was recognised and the first book on corn cutting was published in 1781 entitled ‘Art de Soigner les Pieds’. Both Charles Dickens and Napoleon Bonaparte required frequent doses of foot care. Dickens went as far as to immortalise his corn cutter, Mrs Jane Seymour Hill, a well-respected woman described as one of London’s most amusing characters of the time. Bonaparte’s closest friend and confidante was a corn cutter. This is a strong indicator that our foe Napoleon was a frequenter of the old fashioned version of the pedicurist. With the stress on men’s feet an ever present feature of day to day life, care for them has only taken the form of podiatrists, or nail bars targeted for women. 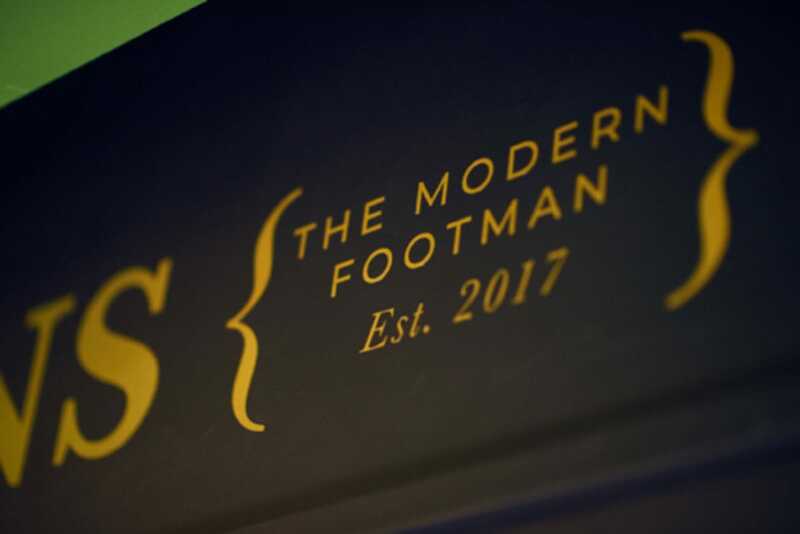 Aldwyn & Sons is changing this status by bringing pedicures to men in an environment made for them based in Fitzrovia, Central London.